We provide personal attention to your concrete order, including timely delivery to your job site in Barrie. When you require concrete products for any type of project in the Barrie, Ontario area, the first place you should call is us at Flesherton Concrete Products. We believe that the quality of your concrete matters, and that is why we only supply our customers with quality concrete that will make your project a complete success. There are several important things we do to make sure that your concrete buying experience is a good one. 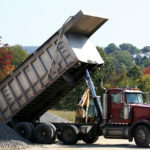 First, we are committed to only the highest level of quality with all of our aggregate and concrete products, and you will never be disappointed with the results of your project. Second, we offer unparalleled service, and will provide personal attention to your concrete order, including timely delivery to your job site. We have the right equipment, competitive prices, and a wide service area that allows us to provide the concrete products you need. Finally, we can assist with concrete projects large and small in the Barrie area. Whether you’re pouring concrete for a home’s foundation or you are installing a driveway and sidewalks in a new neighbourhood, we will work with you to supply the products you need. As a family-owned and operated business since 1985, it’s important to us at Flesherton Concrete Products that you receive the quality products and expert customer service experience you deserve. Contact us today for more information about our concrete, aggregates, pricing and delivery. We will work with you to ensure you project achieves the best results.